Mexico’s Yucatan Peninsula, often known as the crowning and opulent resort zone in Rivera Maya, is home to the scenic village of Tulum which was once home to eclectic Maya colonies and local fishermen. Tulum, however, is a highly acclaimed tourism hotspot today that offers a heady mix of beach fun, a vibrant cultural scene and direct access to the business epicenter of the eco-resort strip lying in the heart of the Riviera Maya. All thanks to the astounding growth of tourism in Riviera Maya lately. Lying towards the north of this eco-resort district is Puerto Morelos and Sian Ka’an towards the south. While both Cancun and Playa del Carmen in Playas México are touristy, the tourism scene in Tulum has something totally different and one-of-a-kind that makes this rising eco-resort town a bustling tourist refuge among all top destinations in ‘turismo en México’ list. Tulum’s laidback setting, unlike its sister town Cancun, attract more visitors who want to experience nature at its best. The Isla Mujeres, Sian Ka’an and Chichen Itza are within equal propinquity off the coast of Tulum, which certainly make this Yucatan Peninsula town a visitors’ favorite. Of course, there is history, diverse activity opportunities and a vibrant resort scene here too. But what makes Tulum so unique are the dramatic rugged terrain and its location atop a cliff that offers the magnificent panoramas of the azure beaches. 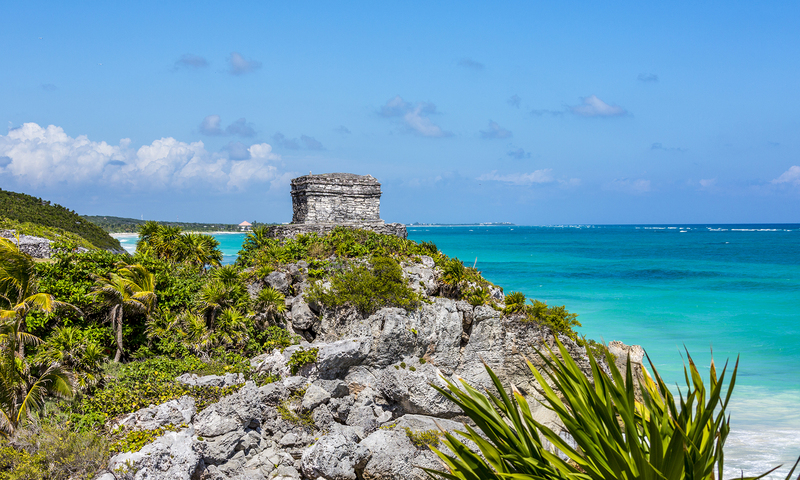 Tulum attractions range from the famous Chichen Itza tours featuring the cultura Maya at the famous Mayan Ruin sites to an all-day bio-reserve excursion in Sian Ka’an. Drive to the northern Tulum for an up-close experience in Coba: a popular Mayan archeological site dotted with smaller ruins. Visitors can get an intimate experience here as they can touch, climb and pose at this ruin sites in Coba. For those who still want to witness more Mesoamerican sites must include a day trip to Parque Nacional Tulum for a nature excursion and Maya ruin tour. 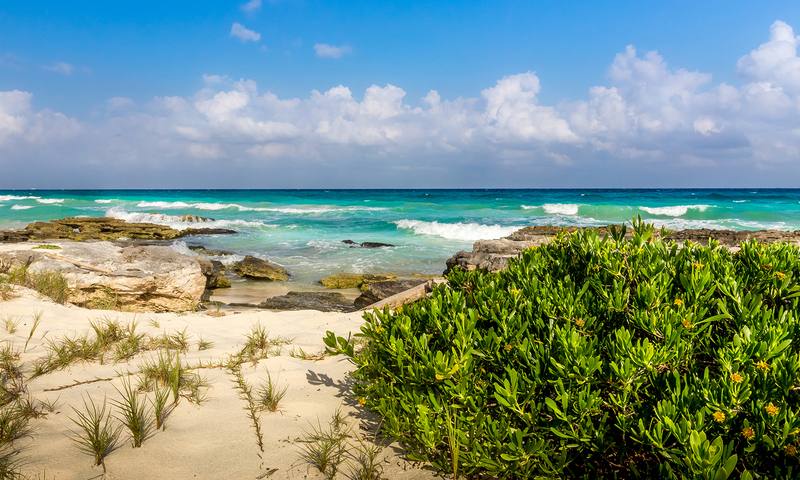 Tulum’s spectacular coastal scenery is like no other. While the white sand and jade green water are the not-so-common features, the gorgeous cliff structures, dramatically situated coastal ruin sites and a lively shopping and dining scene are something distinctive only witnessed at Tulum. The town is cheaper, whether it is accommodation, shopping or dining, has a nicer coastline with gorgeous views, and offers plenty of nature spots and cenotes unlike its sister resort towns, which is why it is among the hottest buyers’ list of real estate investment for Sotheby’s destinations in México. Curious México real estate investors looking forward to learn more about the land value and historic appreciation value in Tulum México will be excited to know that the future of real estate growth in Tulum is expected to skyrocket with a plenty of areas available for resort expansion and urban development projects. That being said, the local government takes utmost care in preserving the historic sites and biosphere reserve to maintain the essence of this historic coastal town that most tourists love it for. Retirees looking forward to enjoy a desire living México life will be happy to find numerous vacation rentals Tulum, apartamentos Tulum and Tulum home rentals available for purchase and investment. With so many properties for real estate investment México, buyers can enjoy the precious solitude and México lifestyle in Tulum at its best.